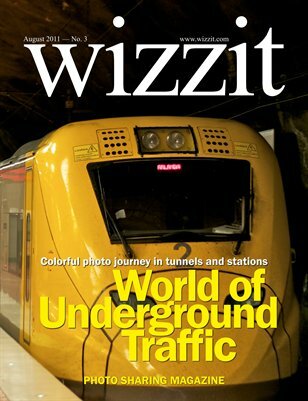 Wizzit Magazine makes a virtual photo tour underground and visits subway stations all over the world. Sit back and relax while you browse the pages of the trains below the streets and watch people passing by trying to catch their connection or rushing out on the surface. Fascinating trip with a free ticket is about to begin.